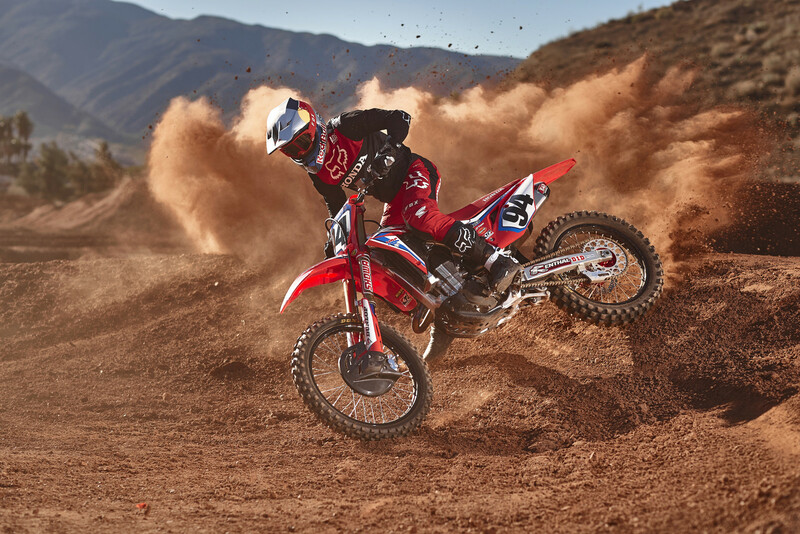 Honda releases its official team photos of Ken and Cole gearing up for the 2019 AMA Monster Energy Supercross Series. This year (‘18) hasn’t been super awesome for either of Team Honda HRC riders. 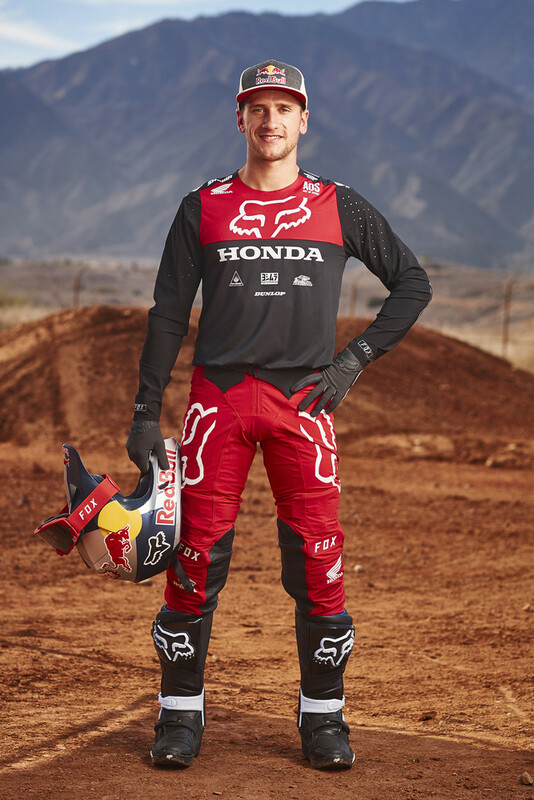 Ken Roczen made an incredible comeback at the beginning of Supercross, just to get injured and have to do the same thing again in the Motocross series. What is pretty unbelievable is that Ken still ended up on the overall MX podium in third. Hopefully he can use that surprising success to spring back to full form for A1. Cole Seely had a pretty solid Supercross season going until a broken pelvis and sacrum took him out of the rest of the SX and all of the MX season. 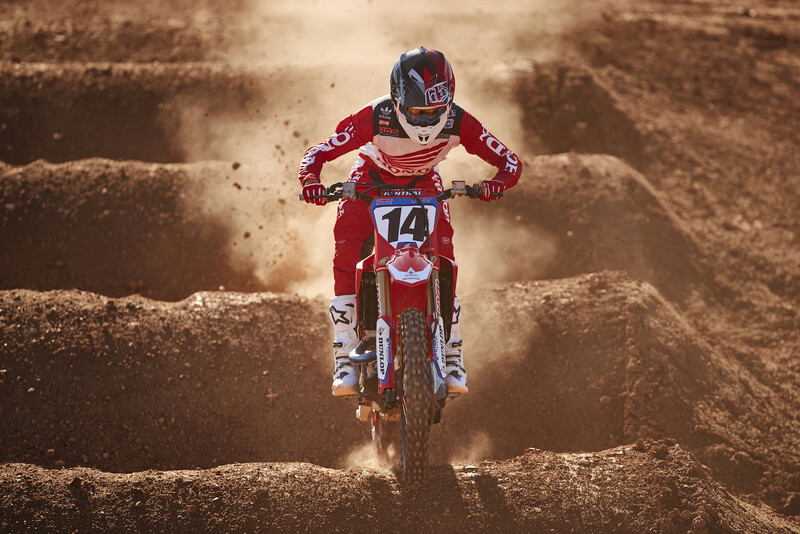 He did race the Geneva Supercross and got 6th overall after two nights of racing. 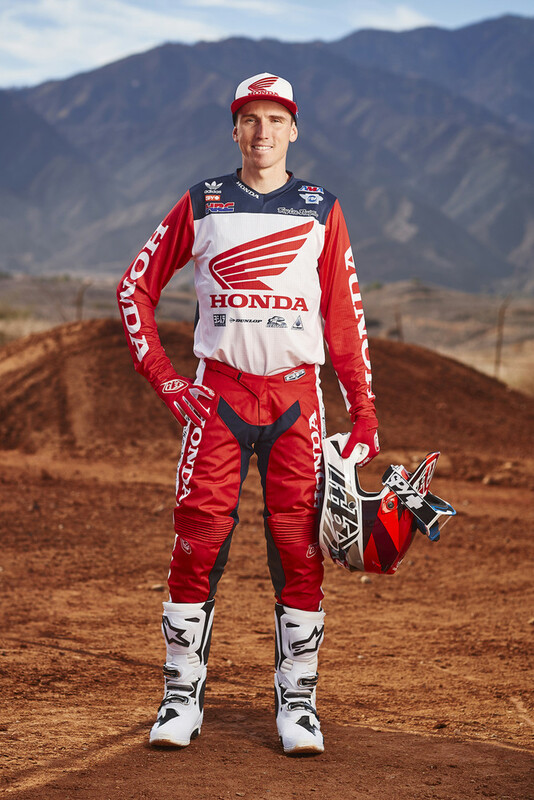 We are excited to see him back and to see Honda HRC with a solid and seasoned two man Supercross team. that whoops photo is hard to fathom.